If you love Christmas as much as I do, then putting up the tree and decorations is one of the best times of the season! The colours, the lights, makes me feel so much for Christmassy. Usually as soon as December 1st comes around, the tree comes out. 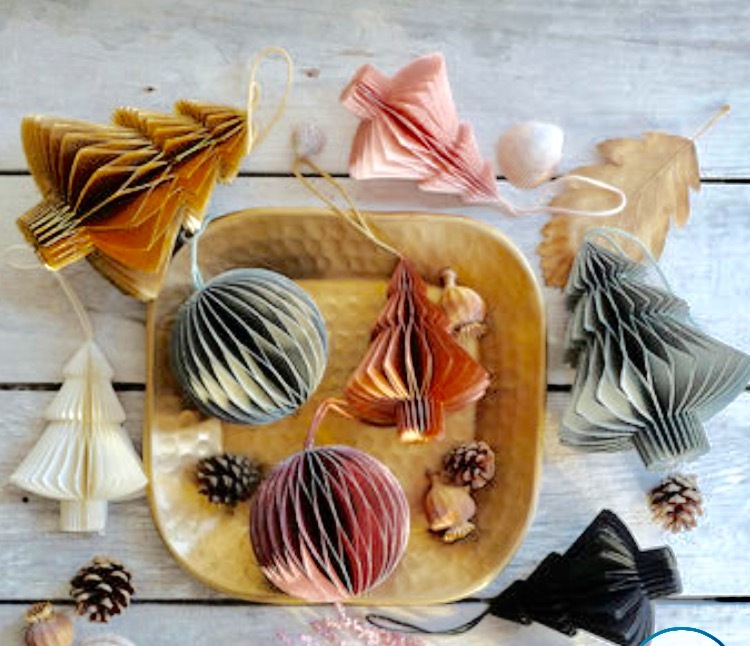 However, I really wanted to make this year a bit more special and so I have been shopping around for some gorgeous new decorations and created the ultimate wishlist of Christmas decorations I’m lusting over. 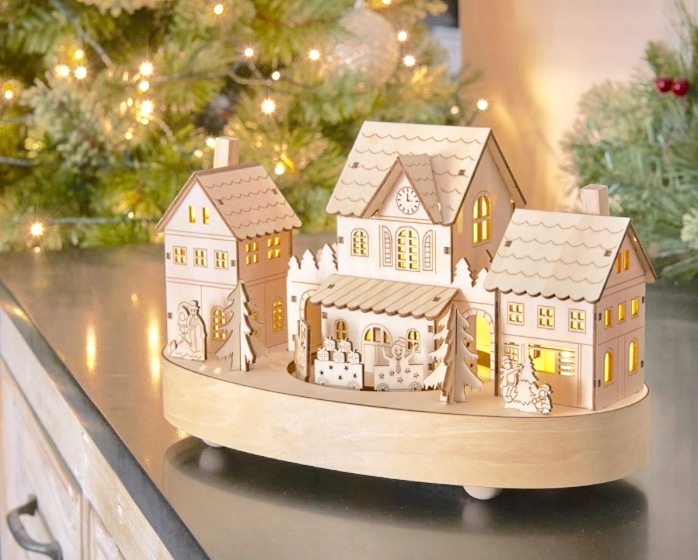 This incredible Christmas village is from Wilko and is only £12!! 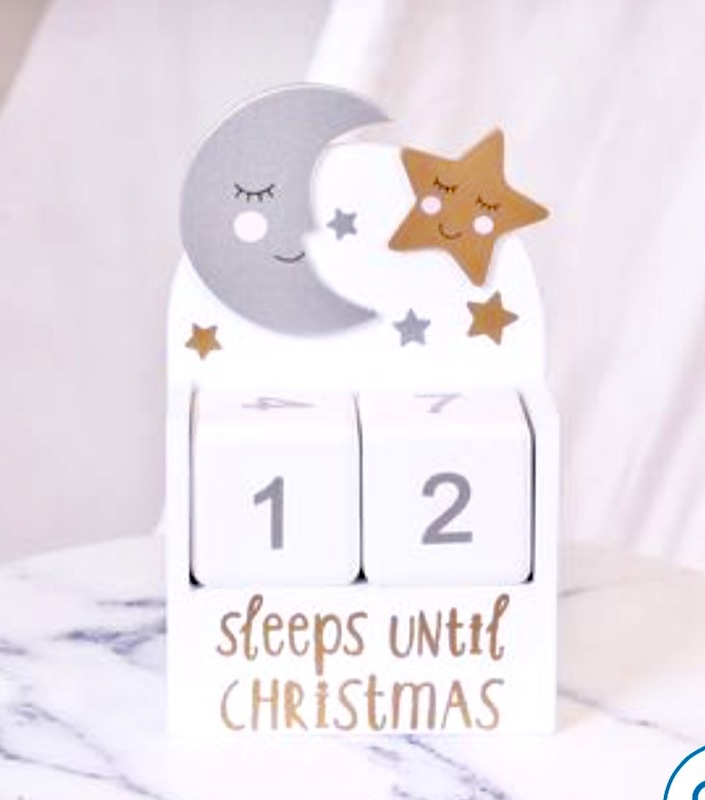 Such an amazing decoration with it’s vintage look, it even lights up and plays ‘Merry Christmas’. Could this be anymore Christmassy?! 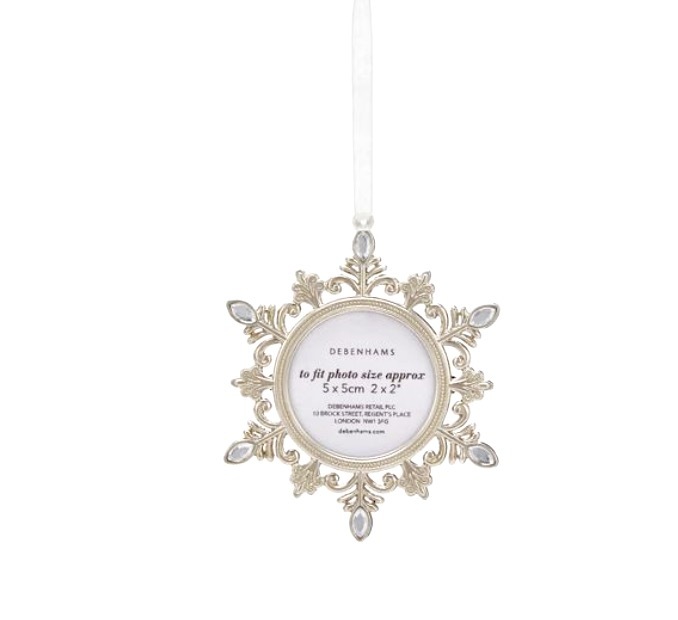 I really love this Christmas bauble just for it’s simplicity. 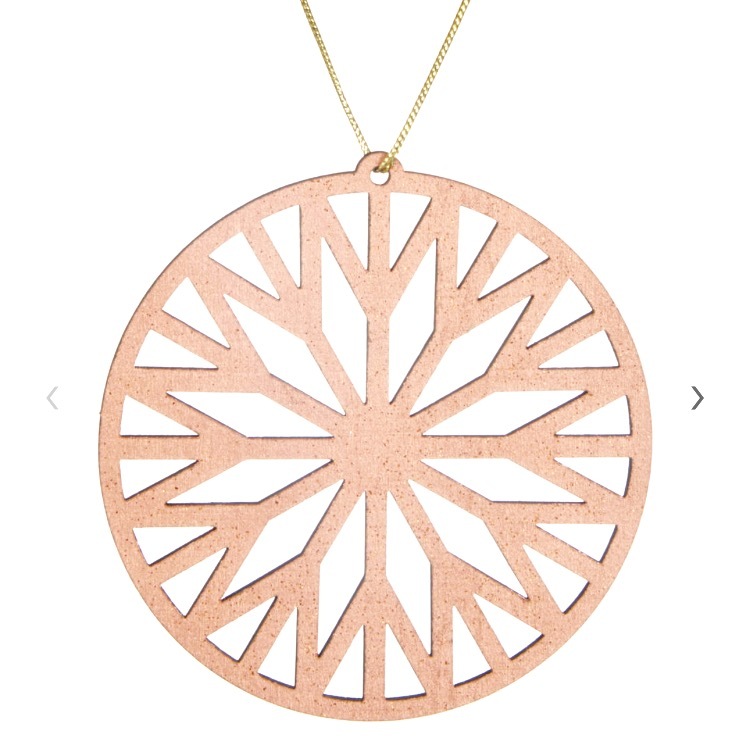 It’s a Mitsuko wheel tree decoration from John Lewis, priced at a great £3- which means you can even buy more than one. I love it’s snowflake look, and the fact that it is copper is a bonus. This bauble just screams Christmas to me! Whilst it might not fit in with the colour scheme I’m going for, it displays one of my favourite places in the world- London- and so seems pretty special to me. 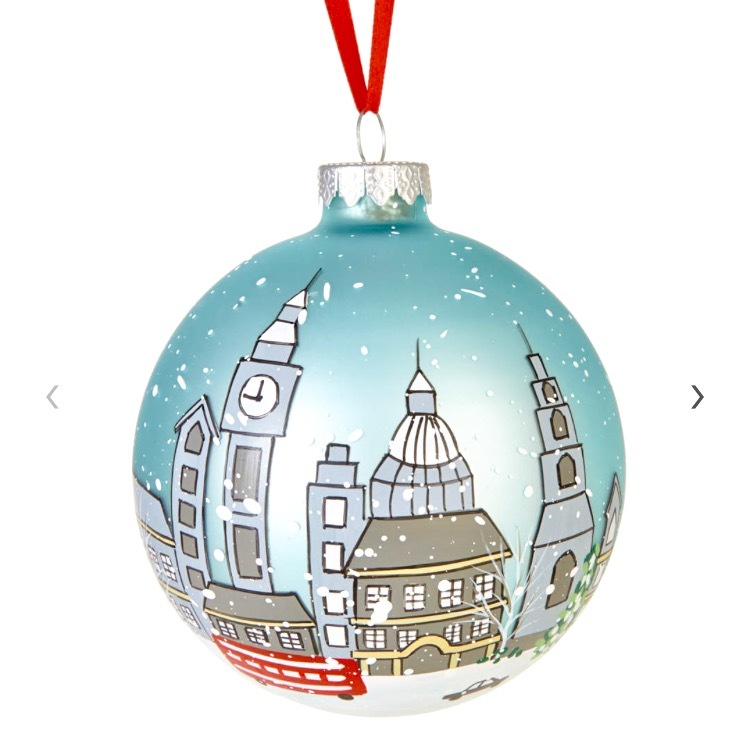 The ‘Tourism London scene illustrated bauble’ is £8 from John Lewis. Now these definitely fit in with the colour scheme! Anything copper and silver then I’m sold. 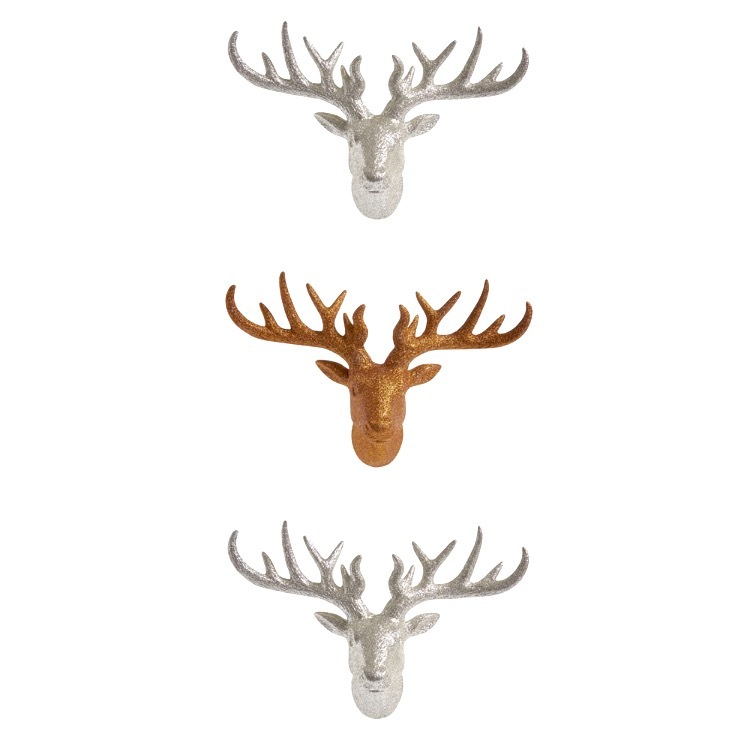 I’ve always liked the symbol of a stag head, and these glitter ones are perfect to add a bit of Christmas to a bare room. These are from Wilko and have now been reduced to just £10 for the pack of 3! 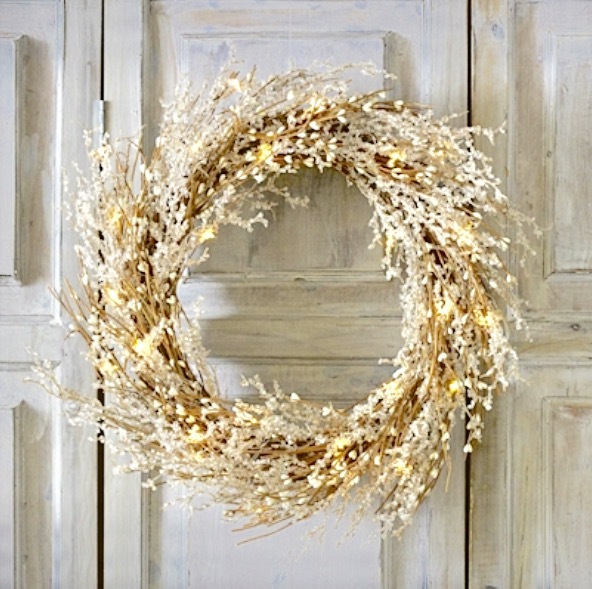 Christmas is definitely coming with this light up beaded wreath from The White Company. I’ve never put up a wreath myself, but I have always like the idea of them for Christmas. At £50 it is a little pricier, but it’s incredibly beautiful for the price tag! Who doesn’t love candles? Especially Christmas ones. These are from Zara Home, which I have never bought from before but from looking on their website they they have some great home ware. 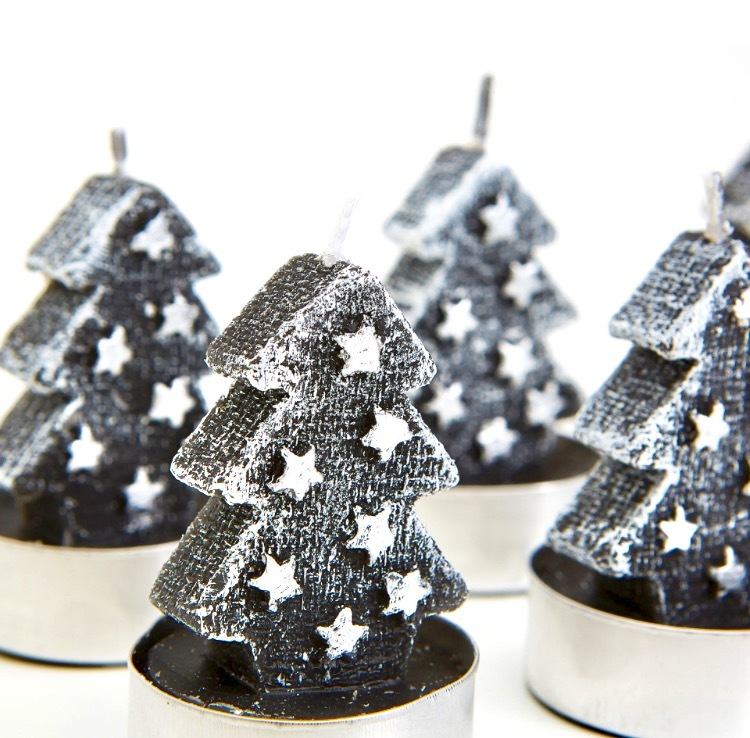 They cost £7.99 for a set of 6 in this beautiful dark grey colour with silver stars, perfect for setting the Christmas table or lit upon the fireplace. Just how beautiful is this?! 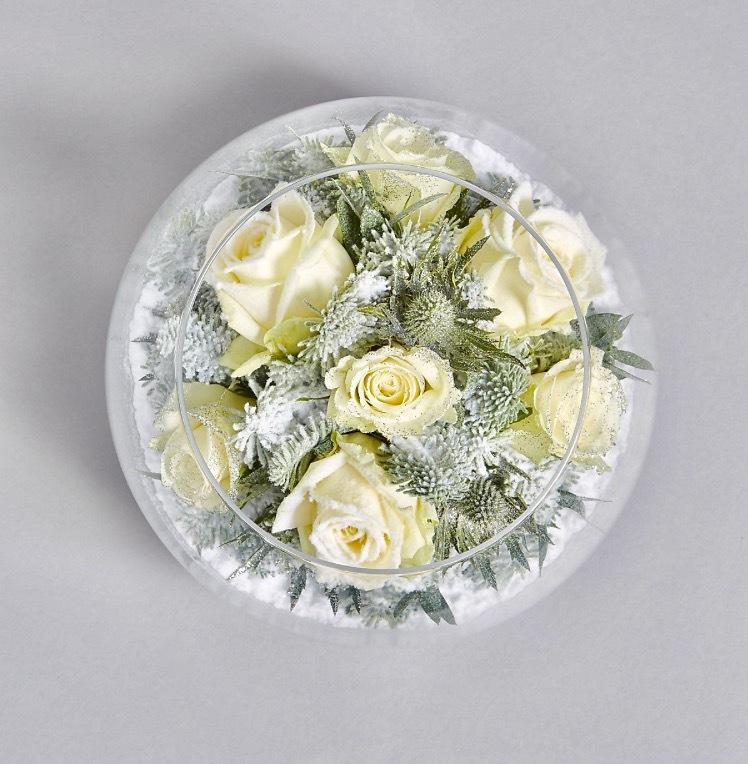 It’s a unique snow globe Christmas vase, boosting real snowed and white roses, frosted eucalptus and white glittered erynigum. This winter’s dream from Marks and Spencer costs £40, and would be the perfect centre piece of your Christmas celebrations. However, these must be ordered in advance so better be organised.